FOOTBALL: Manchester City usurped Liverpool at the top of the Premier League as the champions ground out a 1-0 win at Bournemouth, while Jurgen Klopp’s men stumbled once more in a goalless draw at Everton in the Merseyside derby. 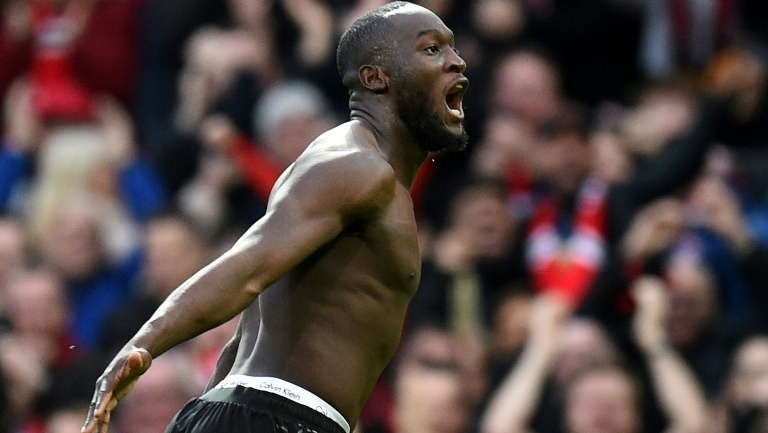 A local derby between Arsenal and Tottenham also ended all square to hand Manchester United and Chelsea a boost in the chase for a top-four finish. 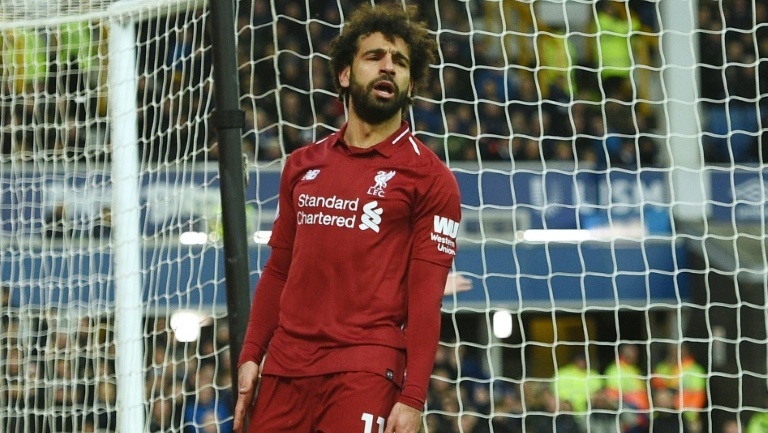 Liverpool’s failure to score in three of their last four games has coincided with Mohamed Salah’s slump in front of goal. The Egyptian missed two big chances at Goodison Park, the like of which he would have buried in a 44-goal campaign last season. Salah has now scored just once in his last seven matches, a run which has seen Liverpool drop eight points in the title race. If the Reds are to recover and land a first title in 29 years, they need their leading marksman to find his form in front of goal. Pep Guardiola had only just finished celebrating City’s win on the south coast when he was forced to consider the toll their hard-fought success had taken on his fatigued squad. Riyad Mahrez’s second-half winner was a fair reward for a City display that saw them hold 82 per cent of possession and amass 23 shots. 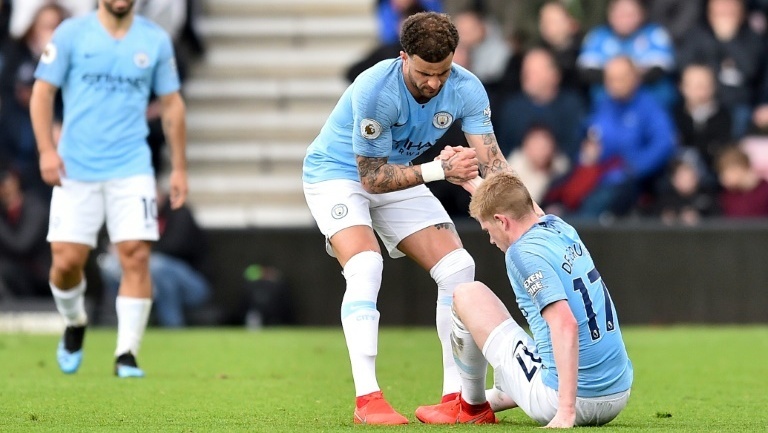 It put City ahead in the title race for now but may have proved a significant setback in the long-term after Kevin De Bruyne and John Stones were forced off with injuries. De Bruyne could be out “for a while” according to Guardiola with a hamstring injury, while England defender Stones was withdrawn as a precaution after aggravating a muscle problem. With Fernandinho and Aymeric Laporte already sidelined ahead of a hectic few weeks for the champions, City’s bid for an unprecedented quadruple just got slightly harder. 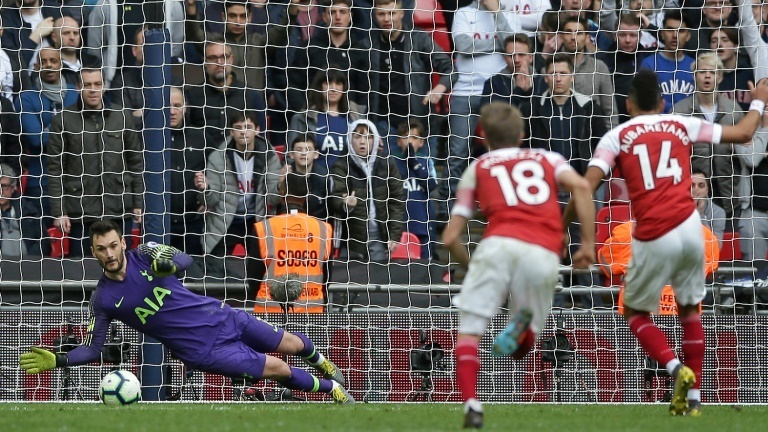 A tale of two penalties cost Arsenal a sweet victory over Spurs and a lot more as Saturday’s north London derby ended 1-1. Harry Kane’s contentious spot-kick stopped Tottenham’s rot after back-to-back defeats as at the other end Hugo Lloris saved Pierre-Emerick Aubameyang’s penalty a minute from time. Luck did not favour Unai Emery’s men as Kane was offside before being fouled for Tottenham’s penalty and Jan Vertonghen clearly encroached on Aubameyang’s effort before making a last-ditch challenge to deny the Gabon striker’s follow-up effort. That miss cost the Gunners their place in the top four and the chance to cut the gap on their faltering local rivals to just a single point. It also meant Arsenal have now gone four full seasons without winning away at a top-six opponent. Just seven days after becoming public enemy number one at Chelsea with his astonishing mutiny during the League Cup final, Kepa Arrizabalaga marked his return from exile with a man-of-the-match display in their 2-1 win at Fulham. Kepa had been dropped by Blues boss Maurizio Sarri for the midweek victory over Tottenham as punishment for refusing to be substituted during their Wembley loss to Manchester City. But, despite that clear challenge to his authority, Sarri’s decision to recall the world’s most expensive keeper for the west London derby proved a wise move. 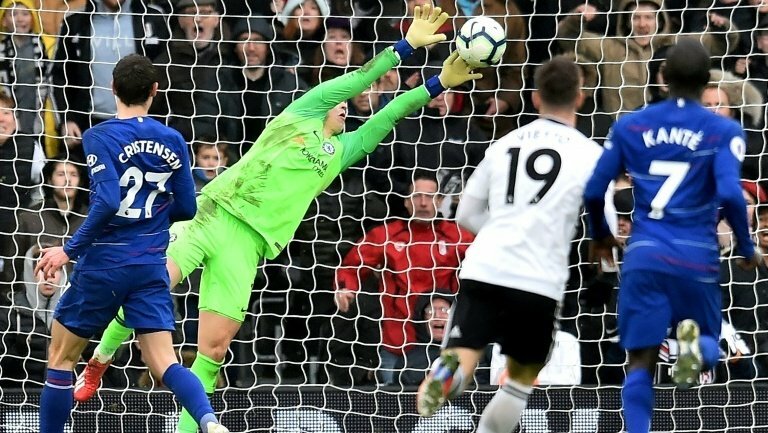 With Chelsea struggling to hold onto the lead against second-bottom Fulham, Kepa made a series of fine saves to seal three valuable points in the battle for Champions League qualification. “He made a big mistake, he paid for it. Now the situation is closed,” said Sarri. “It is like the old days,” said Manchester United caretaker manager Ole Gunnar Solskjaer after his side came from behind and then struck late to see off a spirited Southampton 3-2 at Old Trafford. The Norwegian’s case to land the job on a permanent basis is becoming ever more irrefutable by the week as he stretched his unbeaten run in domestic games to 14 matches, including 12 wins. Victory also lifted United into the top four having been 11 points adrift when Solskjaer was hired in mid-December. As a player, Solskjaer rarely had to worry about Champions League qualification. That being his target shows how times have changed for the worse at Old Trafford, but slowly the man who scored the goal to win the European Cup in 1999 is bringing back old habits worth having.